Reports that some Canadian cannabis professionals have been turned away while trying to enter the United States and then received lifetime bans due to their involvement in the marijuana sector in states where it’s legal are having a chilling effect across the industry. While isolated concerns have been raised in the past about the potential for increased scrutiny for those in the industry, executives and analysts acknowledge that now they are becoming more concerned about running into problems when they try to enter the United States. Most Canadians involved in the marijuana industry have been and still are traveling between the countries without incident. But some are starting to avoid travel to the United States altogether, and others are warning that Canadian companies could slow expansion plans there. It’s unclear what spurred the recent incidents that resulted in bans. Spokespeople from the U.S. Department of State and the Department of Homeland Security said the country has not changed its admission requirements in response to Canada’s pending legalization of recreational cannabis. But stories of individuals who were prevented from crossing the border have become more common in recent months, possibly indicating the U.S. is increasing enforcement of its existing laws, according to Washington state-based immigration lawyer Len Saunders. Admissibility to the United States may be denied merely by “working or having involvement in the legal marijuana industry in U.S. states where it is deemed legal or in Canada” as cannabis remains federally prohibited, a Customs and Border Protection (CBP) official told Marijuana Business Daily. The Canadian government, for its part, recently stated that simply being involved in the legal cannabis industry could also result in inadmissibility to other countries. That also appears to be the stance of the U.S. State Department. Under that guidance, anyone working in the Canadian cannabis industry is technically inadmissible into the United States, Saunders said, even though medical marijuana is legal in Canada and adult use will be Oct. 17. The Canadian government warning was issued June 20, but it is unclear whether the FAM note and customs statement involving Canada are recent changes in policy. A small number of executives have come forward so far about having been banned, but Saunders says he has seen dozens of cases in the past six months. “Since April, the businesspeople who are being barred are businesspeople who have direct involvement with the U.S. (cannabis) industry,” he said. Jay Evans, CEO of Keirton, an agricultural equipment manufacturer, and two of his colleagues were deemed inadmissible in April. The following month, Sam Znaimer, a director for Anandia Labs – which is being acquired by Aurora Cannabis – received a ban for marijuana-related investment activity. Mike Gorenstein, CEO of Cronos Group, believes the probability of lifetime bans is low so long as executives are honest with officials at the borders. Akshat Divatia, a lawyer with Harris Bricken in Seattle, said the law applies broadly to cannabis, so even if a Canadian has never consumed marijuana and does not possess it, simply making a living off the trade of a federally illegal drug is enough to be deemed inadmissible. “The act of investing, working or collaborating with a U.S. cannabis company can be considered trafficking illegal drugs or aiding, abetting, assisting, conspiring or colluding in its trafficking,” Divatia said. Waivers, which are granted completely at CBP’s discretion, take up to six months, cost $930 in government fees, plus lawyers’ fees, and are initially approved for only a year – and never for more than five years. Deepak Anand, vice president of Toronto consultancy Cannabis Compliance, does not believe they are isolated examples. Great we don’t need Canadian companies competing with American companies in this emerging field. Except they’re the same companies, and US cannabis companies are trading on the Canada stock exchanges. Good luck competing with your illegal industry, Udo. Your comment shows a typical ignorant Trump protectionist attitude. There is enough pot for everyone. Be happy for us in Canada for our legal opportunities. We feel sad for you Americans and your pot laws. 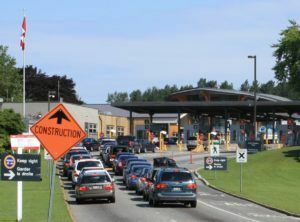 As a U.S. citizen with a summer cabin in Canada I have witnessed the same treatment from Canadian border and customs officials denying U.S. citizens from entering Canada due to MJ possession arrests in their past on their record. With the legalization of MJ in Canada will a previous arrest for MJ on a nonresident’s record no longer be a reason to deny entry?!!! Canadians are dealing with countries all over the world. Our country is first in G8 to legalize. US is still trying to bully the world. leave the States for the nutbars running it! You can be sure that, if an opportunity in the U.S. really is attractive from a longer term perspective, the Canadian and U.S. participants will figure out a way to make it happen, regardless of what rules and regulations concerning admission to either country get put in place. And, remember, nothing is for ever. What’s ironic here is that it’s the Canadians who won’t let US citizens in for years who had any cannabis possession charges. Double standard. Not crying over this till they change their stance too. This article is WAY OFF– there are zero problems and the only ones refused came up on criminal registry. Try getting it right–and don’t statrt a fire where none exists–SHAME ON YOU! Hi Gail. I’m part of a group of attorneys that is focusing on legal issues concerning cannabis and we want to know more about this issue. Can you provide more information about presence on the criminal registry being the basis for denial of entry? You can email me at [email protected]. Thank you for calling SHAME on all those who say Canada Customs is as BAD as the US. Does this mean Trudeau will be banned for life from the US?